The family who got upgraded to First Class so Jeremy Corbyn could get a seat have said they would never go back to poverty class and now going to vote for the Conservatives. The Shepton family had never been in first class before until a helpful trainguard upgraded them so Jezza could get a seat. They crossed the class divide and liked what they saw. 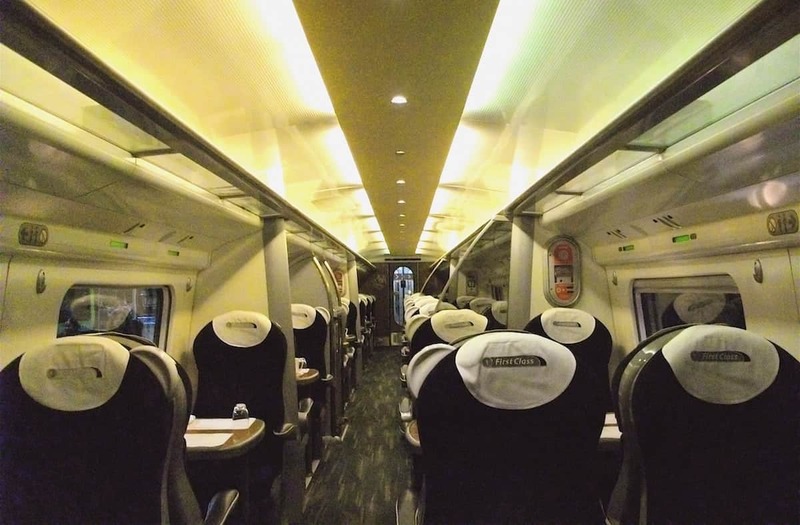 Nick Shepton said: “I always used to look at the first class carriage with disdain, but now I know why they all have smug faces, it’s great! Free coffee, extra legroom, those little biscuits and no old Trots clogging up the doorway. “We have had a taste for the good life and we are never going back. We hadn’t voted before, but we have vowed to vote Tory from now on. If this is the life they lead on a daily basis, I want a piece of that.